Piedmont borders Switzerland and France. Visit the famous city of Turin during your holiday in Liguria, Italy. By the meaning of its name (foot of the mountain), Piedmont is a land of mountains. The Province of Piedmont borders directly with France and Switzerland. It lies right in the middle of mountains, hemmed in by the Alps. The highest mountains in Italy are found in Piedmont. Many of the skiing locations offer long tracks, steep slopes and a breathtaking mountainous background. All skiing facilities are modern and are regularly serviced and checked. The place is a real paradise for skiers! The Province of Piedmont has got wonderful valleys too. Valleys like the Susa Valley, the Valesia Valley and the Eschen Valley lie open in front of the wonderful Alpine panorama. Admire the unique landscape and enjoy the tranquillity found up there in the mountains. The mountains offer innumerable opportunities for hiking and cycling tours. The regions of Langhe and Monferrato are also worth a visit. The villages in these areas are arranged in a line along the vineyards. Come and tour one of the many castles located high up in the hills, and also partake of the exquisite wine from the region. 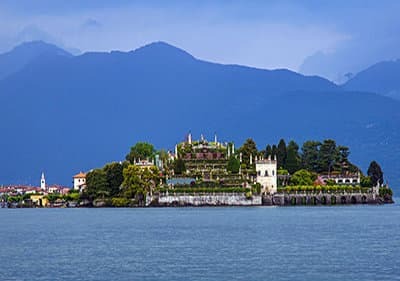 The Lago Maggiore and the town of Stresa are worthwhile visiting. Take a stroll along the sea and enjoy the panorama and the beautiful town centre of Stresa. You can even go swimming in Lago Maggiore. 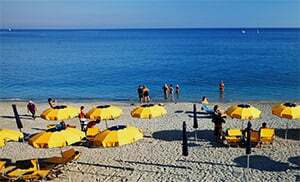 If you would rather relax, you can do so in the sandy beach. The most well-known town in this province is Turin. Get to know the various cultural possibilities on offer here, for example museums, galleries, the beautiful town centre of Turin and the beautiful house facades in the historical part of town. 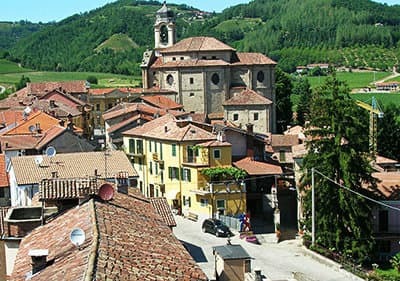 Other towns like Cherasco, Alba and Ivrea are also worth visiting. The Province of Piedmont is the right place for history enthusiasts too. You will find numerous old medieval castles in the province, the most famous of which is the Ivrea Castle. Admire the impressive buildings and the old walls of the well-preserved castles and fortresses. Other impressive castles worth your visit include the Savoy-Residence castles and Sacri Monti. If you are looking for relaxation and recreation, you will not go wrong in the many spas found in this region. The most well-known of the spas are Acqui Terme and Vinadio, where you can comfortably lean back and relax as you enjoy the beautiful panorama from your pool’s vantage point. Excellent cheese and exquisite wine are some of the typical products found in Piedmont. In addition, there are also Italian specialties and culinary delights. Give your gums a treat with regionally grown wine and other products from the region.